They call it being Revelstuck. 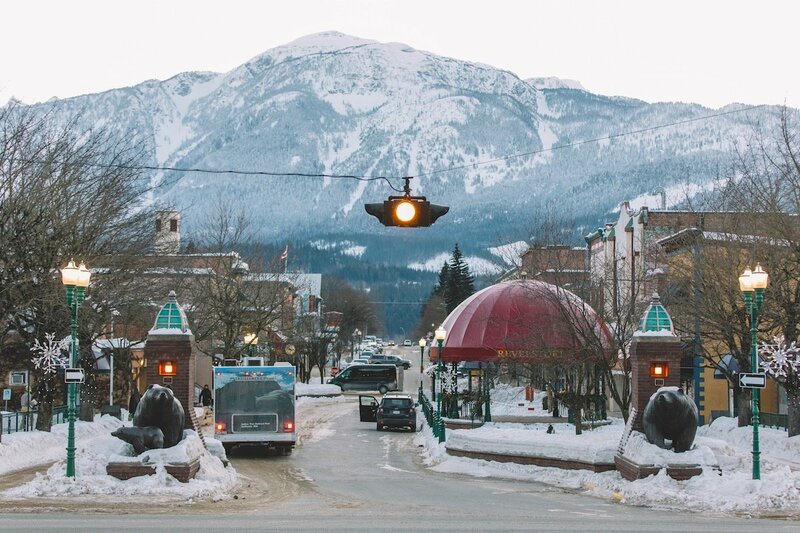 Most people who visit Revelstoke never want to leave. A very small percentage of those people find a way to make that dream a reality — hence, becoming happily Revelstuck. They become captors to its beauty and are incapable of leaving. Like, ever. The harsh truth? This probably won’t happen to you. But that doesn’t mean you shouldn’t treat yourself to the feeling of wanting to get Revelstuck. 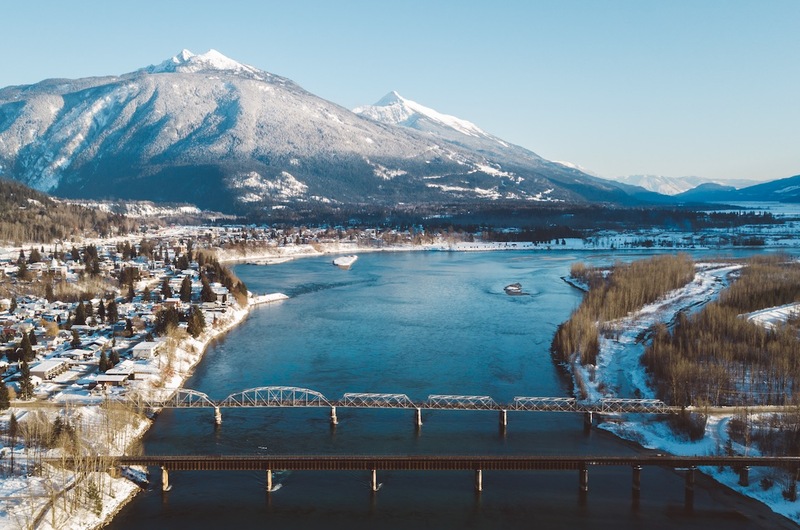 With a population of just under 7000, it’s a small place that’s much harder to get to than some of North America’s more famous mountain towns. It’s a hub for heli and cat-skiing and has a reputation for some of the best backcountry around. Plus, when you visit, you get to make a lot of stoke puns. Now let’s break it down. The most convenient major(ish) airport is located in Kelowna, which is about two and a half hours away by car. You could also fly into Calgary, which is a five-hour drive away. It’s fairly easy to find shuttles from either airport to Revelstoke — but with bad conditions, the drive is nearly impossible, bringing a whole new meaning to the term Revelstuck. Well, it’s beautiful all summer. You can go biking, hiking, etc. You’d love it, but let’s be honest — you’re on this page because you want to ride. January to April are prime time for the best snow. Valley Retreat - This is a rad bed and breakfast catered to skiers and snowboarders. Sutton Place - Like the idea of staying at an awesome place right at the base of Revelstoke Mountain Resort? Then you’ll love the Sutton Place. Seriously, stay here if you can. Hill Crest - It ain’t cheap, but it’s one of the more iconic places in town. Stoke Hotel - It’s cool. It’s clean. And it’s one of the less expensive options around. Airbnb - Depending on how big your crew is, you could be able to find some good options — but you’ll have to book way in advance. Big Eddy - A pub. A restaurant. And a cozy atmosphere. It’s a must-hit. Rockford Grill - This place is hard to miss. It’s right at the base of Revelstoke Mountain Resort and you’ll have a hard time walking past it after a long day of riding — which is fortunate, because the food and drinks are great. Mackenzie Outpost - Good food. Good people. Great vibes. Located on the mountain, this is what should come to mind when you think of a classic lodge. Pop in to stay warm and enjoy the view. La Baguette - Just trust us on this one. Dose - If you like good coffee, don’t miss it. Heli-Skiing - If you can swing it, you’ll create memories that’ll last for the rest of your life. You can’t go wrong booking with Selkirk Tangiers. They’ve been doing it since 1978 and have one of the most knowledgable and friendly staffs in the game. Hockey Games - The Revelstoke Grizzlies are a Junior “B” ice hockey team based out of the Revelstoke Forum. The arena packs out for almost every game because, well, it’s incredibly fun. If you do Revelstoke right, you’ll leave the mountain tuckered out every day. But if you still want to go out and get your kicks, there’s a bowling alley in town. If you’re craving a drink, you can always find a good crowd at the Village Idiot. But if you want to go full Canadian, you can go to a place called Peak and throw axes at wooden target — potentially bringing yet another meaning to Revelstuck.